​Over the last year, Harvard polo has forged a unique partnership with a leading international polo and riding equipment company, La Martina, whose roots fittingly are in Argentina. Known for top quality polo boots, knee guards, game shirts and the like, the company has long supported college polo in the US, the UK, and other countries. However, the special relationship with Harvard is a first. It includes not only providing the finest polo equipment, but also some much needed direct financial support to help the team balance its annual budget. This relationship developed because of a natural affinity within the two institutions. 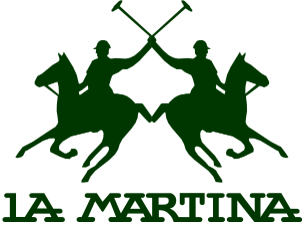 La Martina’s top priority as a company is to offer and regularly improve upon the safest gear for what is by definition a very dangerous sport. It is no coincidence that the company is a current case study for the Harvard Business School due to its rapid international expansion and its “safety first” approach. As part of the multi-year relationship, La Martina has developed a new leisure line with Italian designers called the “mini collection” whose appeal goes well beyond direct association with the sport of polo. This new line will carry the La Martina and Harvard polo brands will be rolled out in Fall 2016 in the Harvard COOP and initially in about half of the 65 fully owned shops that La Martina oversees in 38 countries. Harvard polo, its student-athletes, supporters, and horses are grateful for this support from a high quality, ambitious, truly global company.